This is the color I wanted to use for the inauguration, but it didn't arrive in time, so here it is better late than never. It's a pretty red, but it's just another red. 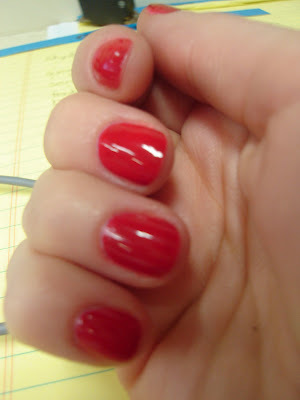 By that I mean that if you have other red polishes, this one isn't anything different than the rest of them. 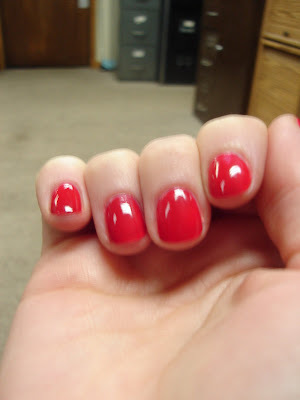 I had a little trouble with cuticle drag on this one too, maybe I should have done 3 coats?